Call 517-278-4120 For Great Customer Service! 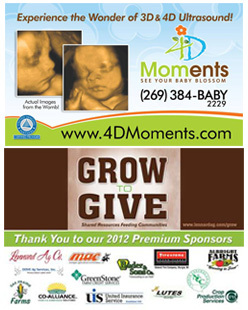 If you need to capture attention at any upcoming events, indoors or outdoors, we have just the solution for you! We offer full color digitally printed indoor banner prints and outdoor vinyl banner prints in any size, any color, and any design that you might need. Including vinyl, mesh, street pole and interior banners. We use the latest in banner printing and digital print banner technology to create beautiful, vibrant and professional-looking banners. These color print banners are a powerful communication tool, a great way to advertise your company's products or services, and they are certain to attract potential customers. 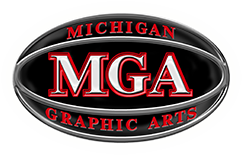 Most importantly, they can be designed and printed easily, quickly and affordably at Michigan Graphic Arts, so you can rest assured that you will receive a quality product right when you need it.